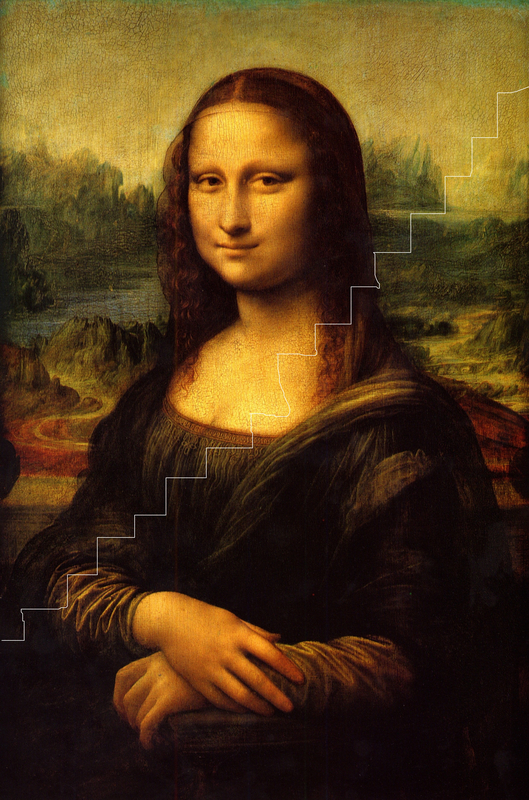 Buy a postcard of the Leonardo DaVinci’s Monna Lisa (aka “La Gioconda”), or find a reproduction of the painting, draw stairs on the image, wherever you want. The color and medium are up to you. This entry was posted on May 6, 2015 by rdotmdot in 2D, Adapt, Free, Item, Reproduce/Similar and tagged 2D, ADAPT, FREE, IDEA, REPRODUCE/SIMILAR.